HUGO was born to be unconventional and innovative – just like the people who choose the brand. 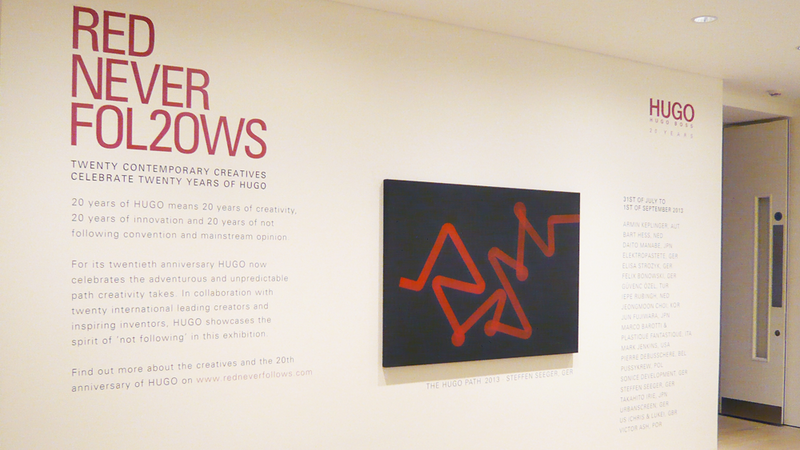 For its 20th anniversary HUGO now celebrates the adventurous and unpredictable path creativity takes. 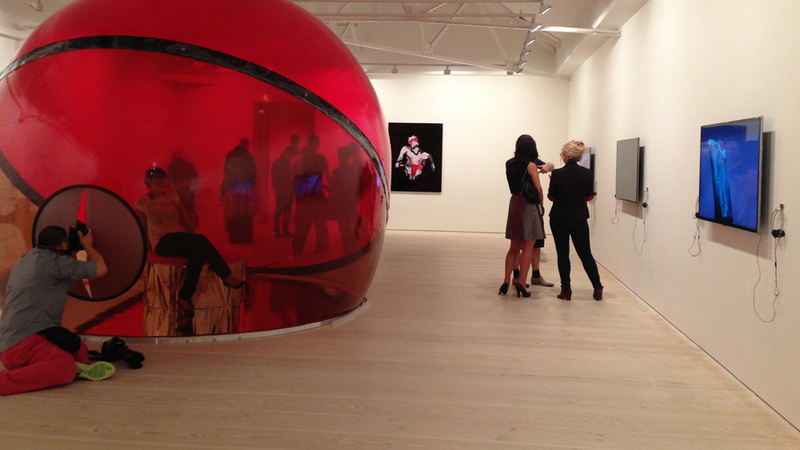 In collaboration with a unique selection of twenty international leading creators and inspiring inventors, HUGO showcases this spirit of not following at the Saatchi Gallery London. In addition, the HUGO designers created 20 special iconic items to celebrate their 20th anniversary. These icons are both timeless and contemporary; always looking forward, always looking progressive. Available at the online store and selected stores from mid-July. 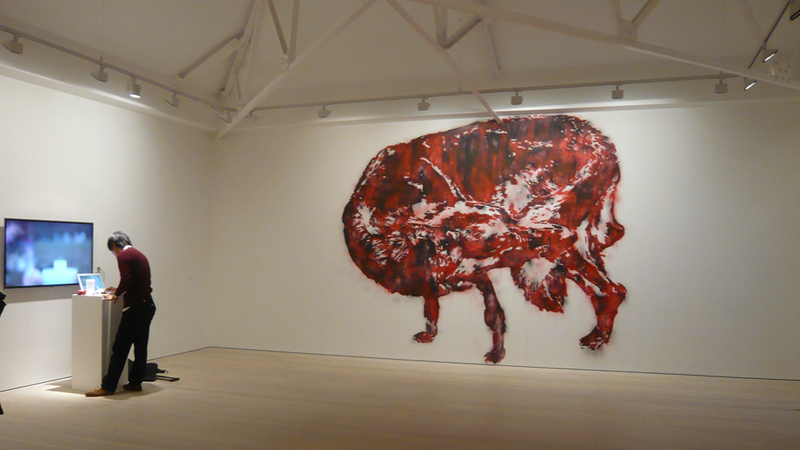 From 31st of July to 1st of September 2013 the RED NEVER FOLLOWS exhibition will open at the Saatchi Gallery London. The Japanese mixed-media artist Takahito Irie is concerned with the cyborg motif – a literary figure that is machine and human – in a series of photographic portraits entitled H/U/M/A/N M/A/C/H/I/N/E that is at the heart of his work. His theme is the extension and modification of the human body through technological advances. He creates a utopia of the perfected human machine. 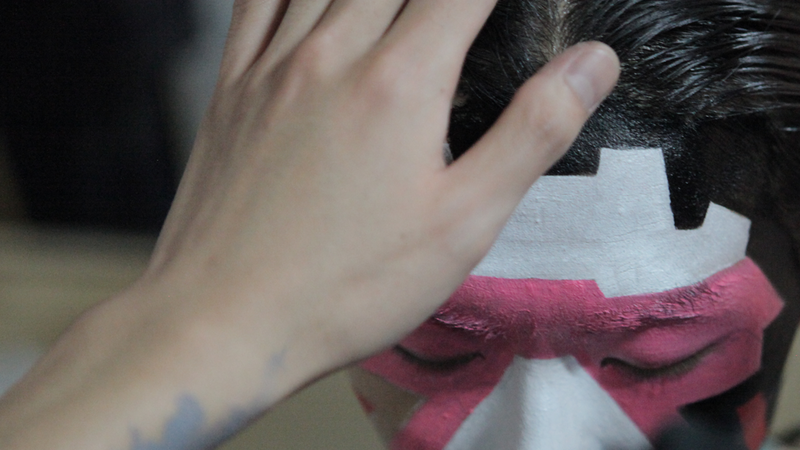 The face painting in his photographic portraits is influenced by Japanese anime, robots and traditional masks from Takahito‘s Japanese culture. His visions oscillate between digital circuits and human perception. 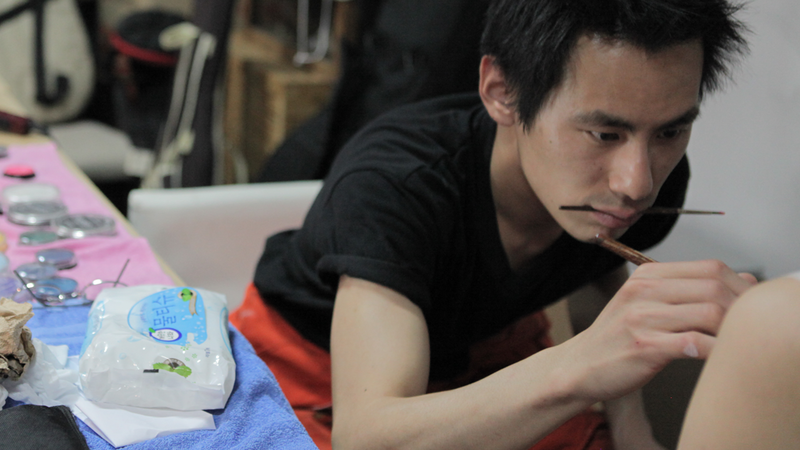 Takahito not only links western with eastern culture, but also fuses the manga genre with body art and performance. Takahito was born in 1984 in Hiroshima. He graduated from the art schools of Seoul and Tokyo.Exhibitions: Move-Ment, Beijing, Paper Airplanes, Hiroshima MOCA, Artist in Residence at the Daegu Culture and Arts Centre, Korea and Beautiful Star in the Beyond Museum, Seoul. 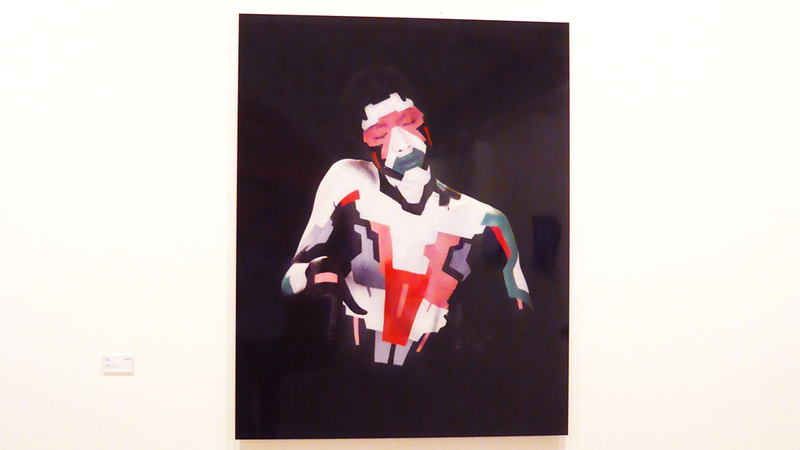 Art fairs: Asyaaf in Seoul (2011) and Art Peking (2011). How would you describe Urban Creativity? In my point of view global changes are not going to be imposed values for our creative field, even the way of globalization developing into one way and having the same distinction for our life.Nowadays everything follows global values. That’s why I deeply feel that our identity is going to be much more important and that it should stand strong in our field. In other words, everything will be the same but we don’t have the choice. Still there is a conflict between the world and our own backgrounds to tune in a general cognition and our own identity. The significant development in my field is that I have to try everything, such as digital design, work with my own hands, even do the programing, fashion, photography, film, and so on. We have to know everything to be able to create in all genres which are going to be mixed and connected to each other. Which creative development influenced your own creativity in the past twenty years the most? The creative development has opened up and given many ways of expression for our creativity. Our generation has passed through creative analog and digital developments. It means we can take a skill from the analog past and, at the same time, we can create with new, digital technology. How did you create your own path regarding your work? My creative ideas come from our daily life that changes with the technological developments, and then I create an unusual experience. The concept is based on a gap which new technology creates in between the physical and the mental part of the human body. People can see an image of a body painting that looks like a robot on a human body. There are two meanings: negative and positive. That’s because every time when we get a new technological product and/ or a new lifestyle, still it makes us confused but we will adapt it sooner or later. I would say that our body is also changing with new technologies and this will have an effect on our mind, too. This will also be the other way around. 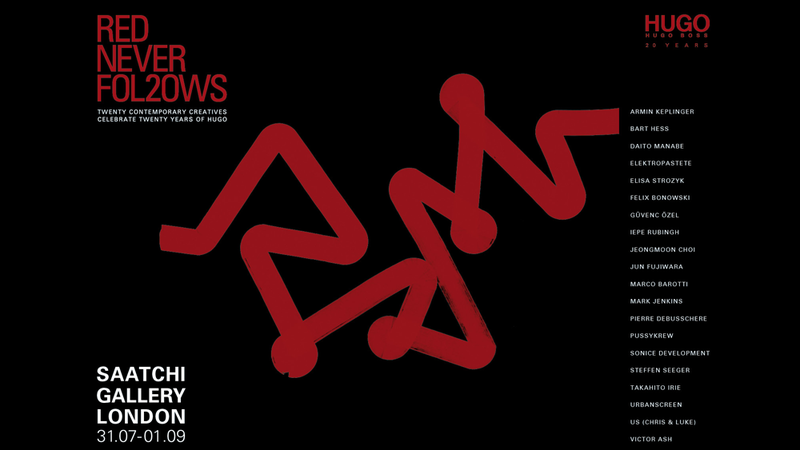 What comes next regarding urban creativity? There will be new ways of conversation. We need more real conversations to talk face to face. Naturally, our body shows and explains our mind what it wants to say. For example, nowadays we are using a lot of computer applications for creativity, such as Adobe Illustrator, Photoshop and many other things, to explain our ideas. If I can say it in another way, the languages are just like computer applications. With the languages I speak, everything I cannot speak and control perfectly but I can explain what I’m thinking. Same with computer applications: we still cannot use a hundred percent of their functions, but already we can explain and create our artistic ways of communication.My point is if we have a communication idea how to make something, already it is going to make our own creative life. And if we bring it out into our life, our communication will be creative and become a new way of conversation.